No wedding is the same at The Watson House and Gardens, Carolina Home and Garden, or The Palo Alto Plantation. We make it our priority to customize each and every wedding to the lovebird’s specific wishes, and dreams. Not only do our vintage garden wedding estates in NC offer stunning backdrops for your special day, but they also offer complete privacy for the affair, allowing you and your family to celebrate with ease. Our Dream Team works around the clock to ensure that every detail is met-- allowing you to relax and enjoy your wedding day. Eastern North Carolina's almost 5 acre garden and greenhouse event space. Carolina Home and Garden offers a tropically green indoor or outdoor venue space for your next gathering. Located just 20 minutes from crystal coast beaches, this venue is perfect for smaller weddings, receptions, or bridal showers. This waterfront venue in North Carolina features abundant gardens, rustic fountains, horses in the pasture, and panoramic coastal views of Bogue Sound that will surround you and your guests as you live out your wedding day dream. 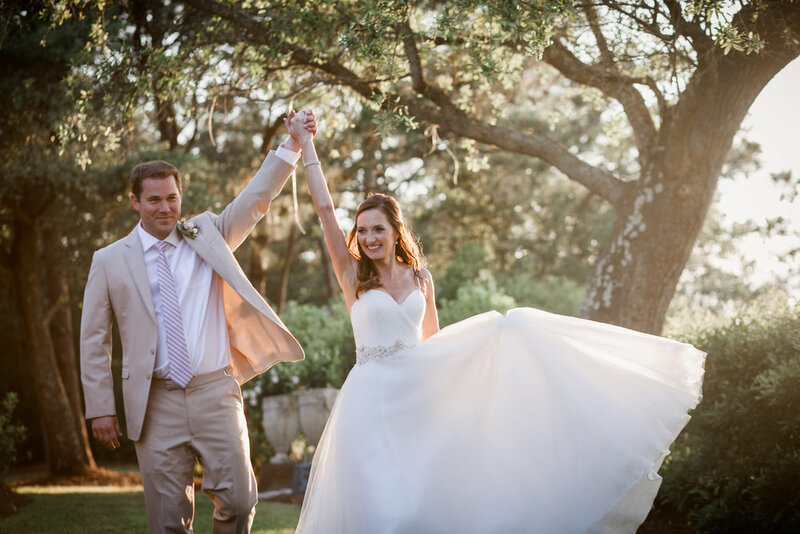 The Palo Alto’s historic value and rustic charm make it the perfect place to exchange vows and celebrate the beginning of your new life together. Prepare to whisk your guests back in time with a rustic wedding at The Palo Alto Plantation- one of Onslow County's oldest homes.